The Cavalier Cowboys held their monthly 1st Sunday match today at the Cavalier Rifle & Pistol Club. Congratulations to Cody Maverick as the Top Overall Shooter!! Congratulations to Cody Maverick, Regret Scovefield and Virginia Rifleman as our Clean All Day Shooters!! 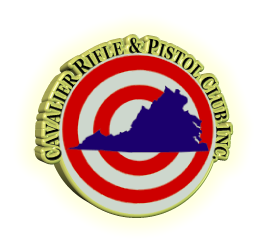 The Cavalier Cowboys will be holding their monthly 1st Sunday match, this Sunday, October 2nd, 2016 at the Cavalier Rifle & Pistol Club. The weather for Sunday looks great, so the dress code will be Standard Cowboy Dress. It looks like the super hot weather from this summer is finally over, so from now on the dress code will be Standard Cowboy Dress unless otherwise stated in the match announcement. The stages have been written by first time match author, Ripsaw. They are attached in both MS Word and PDF formats. The Cavalier Cowboys held their monthly 2nd Wednesday match today. Congratulations to BS Walker our Top Overall Shooter and Only Clean All Day Shooter !!!! The Cavalier Cowboys will be holding their monthly 2nd Wednesday match, this coming Wednesday, September 14th, 2016 at the Cavalier Rifle & Pistol Club. The dress code for the match will be standard SASS cowboy dress. If weather conditions change, I will send out an update on Tuesday. For our Wednesday Matches the match begins at Noon, 12:00pm, the gates will be open from 10:00am till 11:30am, registration will run from 10:30 until 11:30 and the mandatory safety meeting will be at 11:45am.